How did they make that look so real? 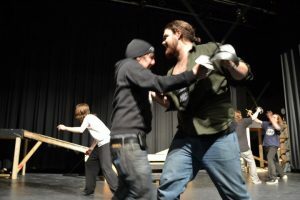 Stage Combat is a valuable tool for anyone looking to expand their skill set and add to their acting tool kit. 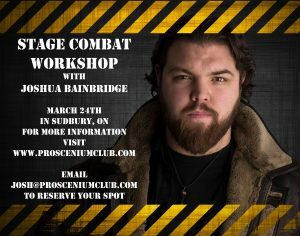 In this workshop you will learn the basics of Hand to Hand Stage Combat and how to put them safely to use. This hands-on workshop will be held in Sudbury ON, on March 24th. Email josh@prosceniumclub.com to reserve your spot. falls, slaps, punches, kicks and chokes. Safety skills are given top priority during this workshop. 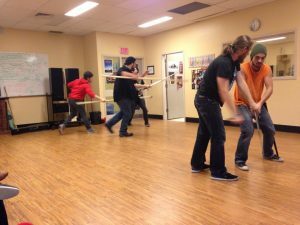 Josh teaches Stage Combat in the Canadore Acting for Stage and Screen program.